Breathtaking scenery surrounds you in Juneau. Experience the majestic, rugged beauty of Juneau&apos;s mountains, glaciers, and waterways from above. Choose from a variety of helicopter, fixed wing, and float plane tours that provide awe-inspiring views of the Juneau Icefield and beyond. If you want to explore glaciers up close, look for tours that touch down on the ice. You can enjoy flying in a helicopter over Mendenhall Glacier then trek across the ice or climb down into ice caves with a professional guide. Soar over 100 feet above the rugged beauty of Tongass National Forest on a zip-line. Choose between Juneau’s two canopy tours for impressive, bird&apos;s-eye views: Alaska Zipline Adventures zips across a seven-line course with “treehouse” platforms along the way where you can enjoy a cup of tea and your guide’s tales of adventure. Alaska Canopy Adventures traverses 10 zip-lines and two suspension bridges, with breathtaking views of Bullion Creek and the historic Treadwell Mine, once one of the largest gold mines in the world. From atop the last platform, get one last thrill rappelling back down to base camp. Discover the awe and majesty of brown bears in their natural surroundings on Admiralty or Chichagof Island. Nicknamed “Fortress of the Bears,” Admiralty Island is home to an estimated 1600 bears, many of which you can see at Pack Creek Bear Sanctuary. 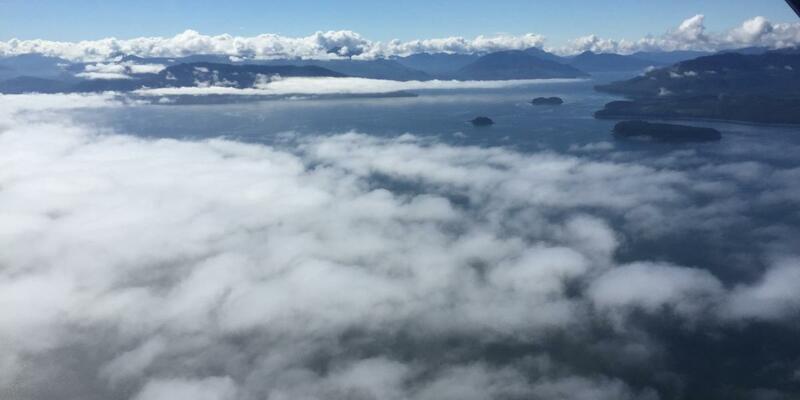 Bear tours can be via a scenic floatplane ride to the island or with a guided overnight kayaking tour. Hiring a professional guide is the best way to experience this unique adventure. They can help you secure the necessary permits and arrange transportation, as well as share fascinating knowledge about the brown bears and other native wildlife. See Juneau on two wheels with its only bike tour company, Cycle Alaska. On the Bike and Brew Tour, local guides provide a fun tour with views of the Mendenhall Glacier and beer tasting once back in town. Or check out the scenic beauty of Eaglecrest Ski Area and Mount Roberts Tramway on the Bike and Tram Tour. The guides are very knowledgeable and can customize trips to your liking. Try your luck panning for gold with a historical, guided tour of Juneau. Visit the state capitol and turn up the road to Gold Creek and “Last Chance Basin,” where Joe Juneau and Richard Harris struck gold in 1880. These tours often end with a delicious meal at Gold Creek Salmon Bake. Choose from whale watching or glacier cruises along Juneau&apos;s spectacular coastline. Whale watching boats take you into inlets where humpbacks and the occasional orca are known to feed. Or enjoy a tranquil day cruise through Tracy Arm Fjord, where you can witness the breathtaking sight of large chunks of ice “calving” off the face of Sawyer Glacier. Some all-day cruises will bundle the “Best of Juneau” including Mendenhall Glacier, whale watching, and a fresh salmon dinner. A guided kayak tour puts you out on the water exploring Juneau&apos;s scenic coastal region for an up-close view of Alaska’s wildlife and marine life as you paddle against a backdrop of tall majestic mountains and rainforest. Or enjoy an exciting, yet gentle, introduction to white water rafting on Mendenhall River. Let a knowledgeable guide take you to some of the best spots to hook a prized catch in and around Juneau. Whether you want to catch halibut or one of five varieties of salmon, there are a number of fishing guided tours and charters that take you to the best places for the season, with some of the most beautiful backdrops around. If you would prefer not to spend the whole day fishing, many charter companies combine fishing with whale watching.